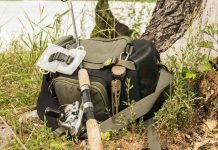 Ease and convenience are two elements that anglers look for when they search for the next product to use on their fishing excursions. 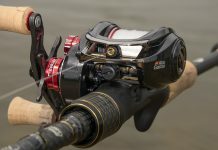 Sometimes, a fishing trip can be unplanned and unexpected, which leads to the desire for a compact fishing rod and reel combo that can be easily transported but still offer excellent casting and great action just in case you happen to come across a new lake and the fishing opportunity is too good to pass up! 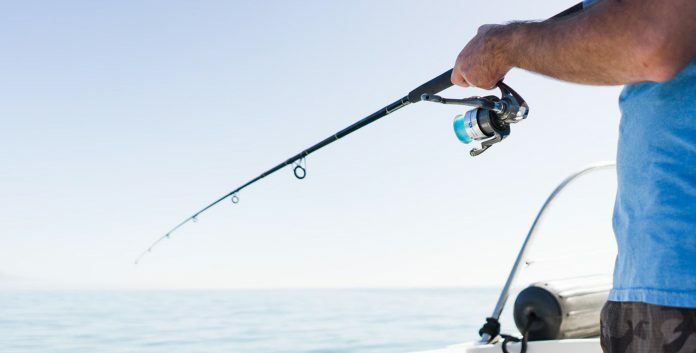 Telescopic fishing rods are exactly what fishermen have been looking for to add to their fishing tackle in order to allow for ease and convenience on the unexpected – yet very welcomed – fishing opportunities. These telescopic fishing rods are made from the same graphite, carbon fiber, and sometimes fiberglass materials that conventional fishing rods are made from with stainless steel eyes, but their sleek design is what makes them unique and great for any situation whether on a new lake or are doing a little saltwater fishing. 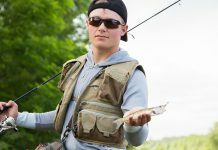 When considering whether a telescopic fishing rod is right for you, it is important to take into consideration if/how you will travel with your fishing rods and what your goals are for having a fishing rod at your disposal at any time. High quality telescopic fishing rods are designed so that each part of the rod slides into the other when folding them down to create a compact and easy to carry a fishing rod. Conventional fishing rods are cumbersome and lengthy in size, which leads them to be quite difficult to transport in smaller spaces. Now you’re wondering which products are top-of-the-line in the telescopic fishing rod world and which high-quality rods would be the best option to add to your fishing tackle and can handle any situation when telescopic pole fishing. The PLUSINNO Telescopic Fishing Rod is rated 4 out of 5 stars on Amazon and boasts material that allows for saltwater fishing without risk of rusting. The stainless steel hooded reel seats ensure that no salt water erosion will occur while out on the ocean. One customer review stated that they were really pleased with the durability and strength of this retractable fishing rod as other brands were easily broken upon use. This telescopic fishing rod is perfect for saltwater or freshwater fishing as it is made with graphite carbon fiber and corrosion- resistant CNC machined aluminum. With a 1-year warranty that allows you to enjoy a worry-free fishing with your telescopic rod an d feels secure that should something happen, it will be taken care of quickly! With various sizes and lengths, this telescopic fishing rod is perfect for saltwater surf fishing and inshore fishing! This rod has received 4 out 5 stars with one of the biggest compliments coming from the length of the pole! With carbon fiber mixed with fiberglass, this rod is sure to be durable enough to endure tough situations and extreme weather conditions. The pocket-sized fishing rod is easy to carry and store due to its compactness. This telescopic fishing rod is best suitable for sea, stream, and river fishing. If worry-free, lightweight, and powerful are characteristics you are looking for in a telescopic fishing rod, this is a perfect choice! You will get great power and high sensitivity with this compact fishing rod, which can be hard to come by when looking at telescopic rods. This rod allows you to travel with your rod to all of your favorite spots without any inconvenience. 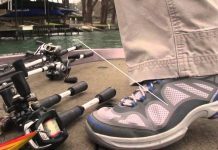 Various lengths are available to help accommodate the type of fishing you are looking to do-freshwater bass trout fishing, saltwater surf fishing, or inshore fishing. 4 out 5 stars on Amazon prove that customers are happy with this product and its quality! This compact fishing pole is only 30 – 38 cm/11.8 – 14.9 in of length making this mini road easy to carry in trunks, backpacks, or even your pants’ pocket! 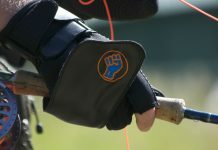 The special design boasts an explosion-proof ring design that prevents the pole mouth from breaking. This telescopic fishing rod is perfect for rocks, shore, and reef fishing.With so many amazing products out on the market today for all types of fishing needs, the telescopic fishing rod is one product you must have in your arsenal for the perfect fishing experience. You never know when the mood might strike you to cast a line out and you want to be ready for that occasion no matter where you are! 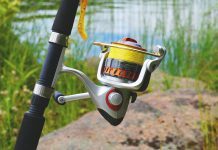 Hiking, driving, or simply strolling through a scenic route if you happen upon a lake, river, or small fishing hole your telescopic fishing rod you have in your back pocket could come in real handy for the perfect catch. Be aware of the material your telescopic fishing rod is made of as it might cause issues with erosion from salt water or break easily due to the constant wear and tear of folding and unfolding the fishing rod. However, use one of the top 5 telescopic fishing rods on the market today and you are sure to experience great quality and power with your mini road with no worries about erosion or breakage! Grab your tackle box and head out to the water with your telescopic fishing rod. You really don’t know what is waiting for you at the most unexpected of fishing holes you might not have ever been able to fish without this portable telescopic fishing rod!